MISSOURI — Slick road conditions Monday morning have resulted in in a number of cancellations, closures or delays across the KMZU listening area. This list will be updated as the day progresses. 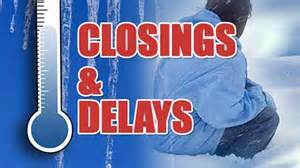 Carrollton Head Start will be in session Monday, however transportation will not be running for the morning class or afternoon class.